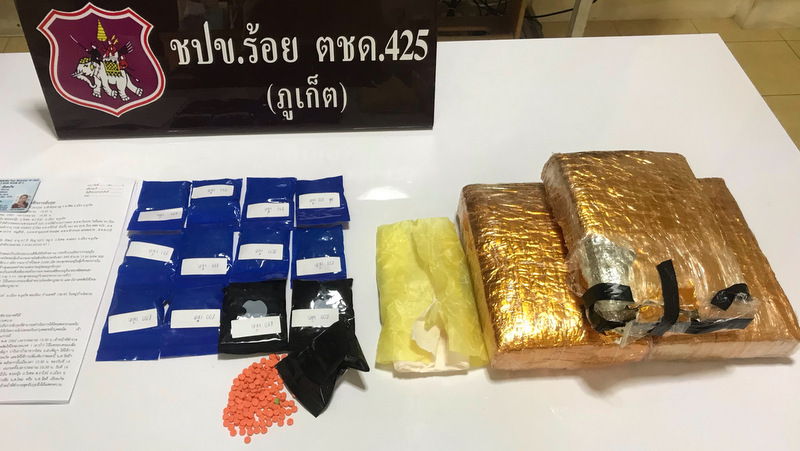 PHUKET: An anti-narcotics team led by Border Patrol Police have arrested a maid from Chalong who was hiding 2,600 methamphetamine (ya bah) pills and three kilograms of packed cannabis in a client’s home in Rawai. 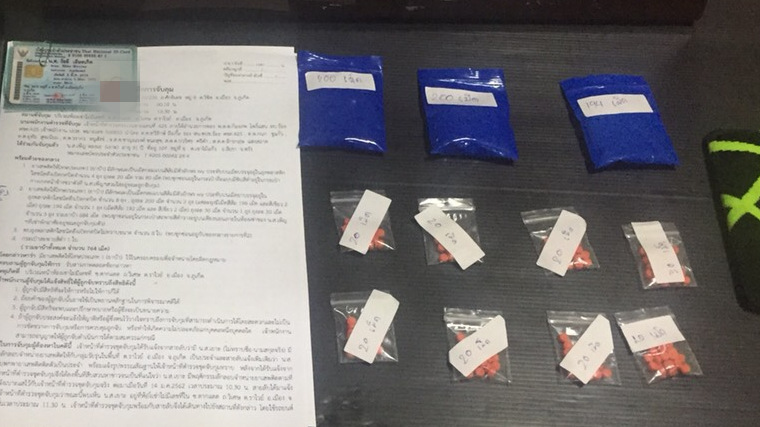 Police explained in their report that the raid followed the arrest on Monday (Jan 14) of Yoh “Phen” Longor, who had been charged with possession of a Category 1 drug with intent to sell. Yoh told police that she got the drugs from Wanli “Mai” Eadkerd, age 47, who cleans homes in Rawai for a living. Yoh even told police of that exact address in Soi Yanui, in Saiyuan, Rawai, where they would find Wanli later that day. The officers set up camp and kept the house under watch. The officers also brought the suspect Yoh with them to identify Wanli. By 4:30pm Wanli arrived, as expected. Undercover officers approached her and then identified themselves as police officers, and took Wanli to Chalong Police Station for questioning. A subsequent search of the home found 2,600 ya bah pills hidden in a storeroom at the back of the house. The pills were packed in 13 blue and black reusable plastic bags, which were covered with yellow paper which was embossed with “999”. Each of the smaller blue and black reusable bags contained 198 orange pills and two green pills. The orange-coloured pills were embossed with the letters “WY”, police noted. Police also found three one-kilo packs of cannabis. Each pack was wrapped in gold paper, and the three packs were all wrapped together in a green Kerry Express package, police noted in their report. Wanli confessed that the drugs were hers, and that she had sold drugs to Yoh. She said she did not know their whereabouts, but admitted that she had bought drugs from the couple three times. Each time, Mr Chai and Miss Noo Lek would tell her where to pick up the drugs. 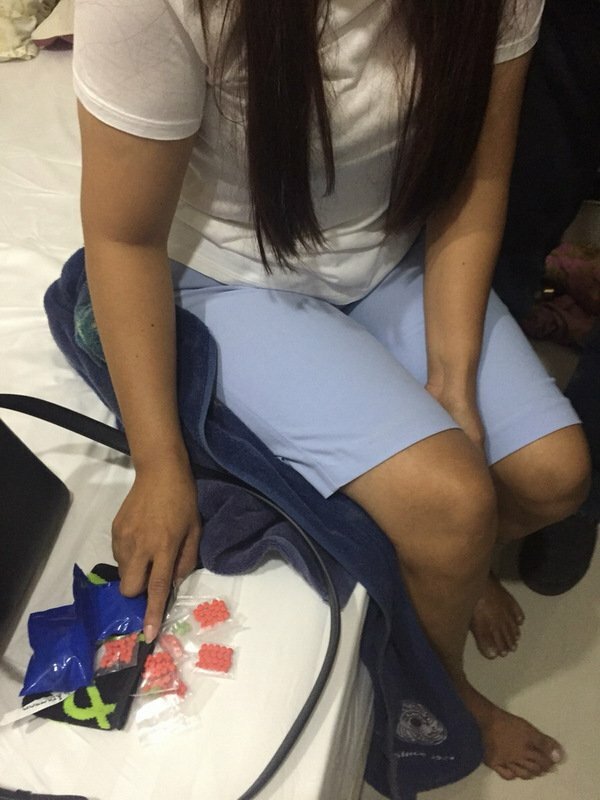 Wanli also explained that she had bought the cannabis from a man through Facebook and had the drugs delivered by “a private transportation company”. Wanli was charged with illegal possession of a Category 1 drug (methamphetamine) with intent to sell and illegal possession of a Category 5 drug (cannabis) with intent to sell, police confirmed. Police noted that they are continuing their investigation into the drug supply chain for that network.